V.W. Bro. W. Joseph Stokes, 18o, P.M. Lodge 88, PPJGW, Antrim. PMWS of Prince Masons Chapter 12. V.W. Bro. W. Joseph Stokes, 18o, was a much esteemed PM of Lodge 88, and always lived up to the best traditions of the Order. It will, however, be in connection with the “Purchase Scheme” of the Masonic Hall, Arthur Square, that his name will be chiefly associated. 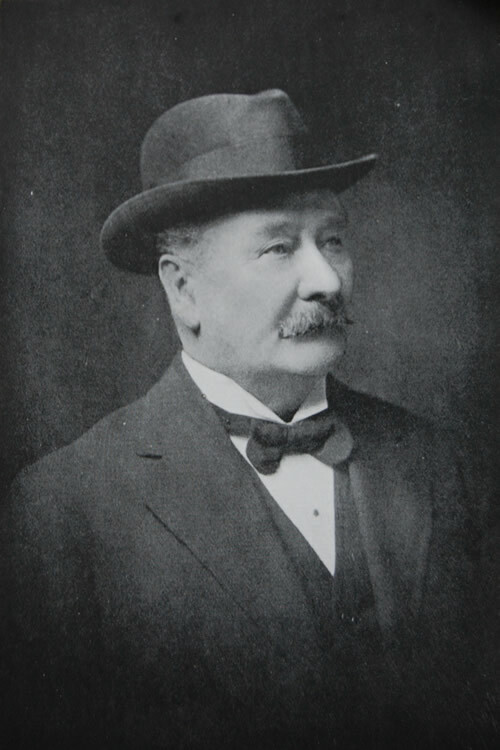 From the critical times of 1888, when the hall had actually passed out of possession of the Freemasons, until 1922, when failing health compelled his retirement from his trusteeship, his interests in the building never flagged, and it was a great joy to him when at length the hall was free from debt, and his work completed. In public life he was for a time a member of the City Corporation for Windsor Ward and a Justice of the Peace for the city. He was chairman of the Unionist Association for Ormeau, and greatly esteemed as a successful merchant in the linen industry of Belfast. He died on the 16th September, 1926, much to the regret of his friends and brethren. As a token of appreciation his memory has been perpetuated by the erection of a brass memorial tablet in the vestibule of the hall, opposite that of his old friend and co-trustee, Bro. Thomas Nesbitt.